Final thoughts: It’s been very encouraging to see Serena practising in Rome after skipping Madrid with reported flu. This is the first year since 2011 where Serena heads into Rome without a title. While it’s still too early, in my opinion, to start panicking about Serena’s form, I have no idea how long she will last in Rome! It would come as little surprise if she withdrew early but then again, the draw’s there for a decent run if she can shake off early rust. Final thoughts: Kerber looked in fine form between Miami and Stuttgart, and finally looks back on track after only a very small blip following her triumph in Melbourne. While her early exit in Madrid was disappointing, Kerber was understandably tired from a taxing two months. The German player seems to be more committed and optimistic about her chances on the clay but this looks to be a potentially testing draw. Final thoughts: Azarenka is taking no risks with her health this year so once it was clear that she had an injury problem, it didn’t come as a huge shock when she pulled out of Madrid with the back complaint. With a bye in Rome, my guess (and that’s all it is!) is that she will be good to go. Final thoughts: Clay will never be Kvitova’s preferred surface but she did reach the quarter-finals of Rome last year. However, she’ll do well to get through her first match this year, against either Madison Keys or Andrea Petkovic. After a third round loss to Daria Gavrilova in Madrid, she revealed in her press conference that her participation in that tournament had been under threat due to an abdominal injury. Final thoughts: The victory in Madrid was a huge one for Halep as she successfully dealt with the pressure of being the favourite and will have no doubt built up her confidence bank. The Romanian player proved last year that she is more than capable of backing up good tournament runs. Health/fitness wise she looks strong right now but the draw may be her biggest stumbling block with the likes of Svetlana Kuznetsova and Serena Williams in her quarter. 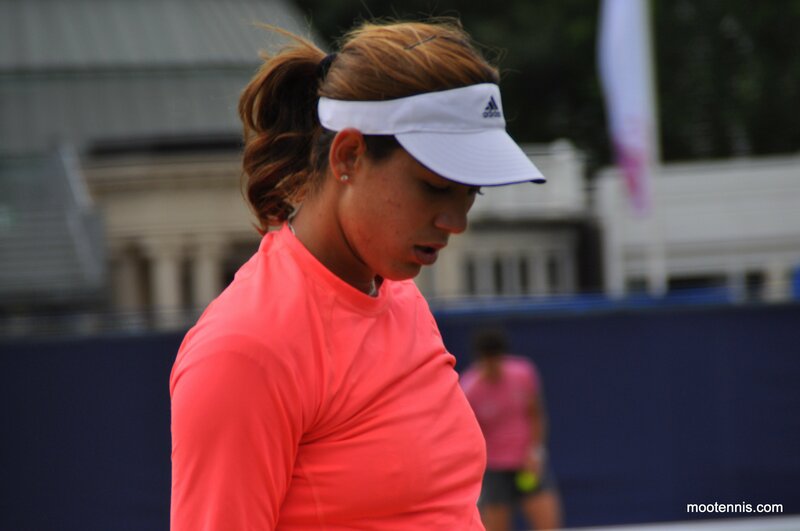 Final thoughts: Suárez Navarro has had a solid, yet unspectacular start to the clay court season and may well have gone further in Madrid, where she lost out to Sam Stosur in the third round, if she had been feeling better. The Spaniard was clearly struggling physically. If she’s recovered in time, this is a decent draw and a perfect surface for her game to thrive. Normally when it comes to picking finalists, I’m an indecisive mess. This time round it was actually quite straightforward! The biggest conundrum is obviously Serena; it would never be a surprise if she were to motor through the rounds and win this one. However, I’m leaning more towards an early-ish withdrawal or coming up against an in-form opponent. I’ve gone for Azarenka as my champ… A risk with her recent back injury but I think every player in this draw has an element of risk and uncertainty! The bye should help her and I think the draw is decent. Clay isn’t her best surface but she’s made the final in Rome before, losing out to Serena on that occasion. Taking into account the conditions, i’m going for Kuznetsova, Suárez Navarro and Errani all to have excellent tournaments. Who do you think will win Rome? Have your say in the tournament poll below and as always, comments are appreciated. Rome is a fantastic tournament and i’m excited about covering it for the next week so stay tuned! If you are entered into the Tennis Draw Challenge game, remember to get your picks in by Monday morning HERE! 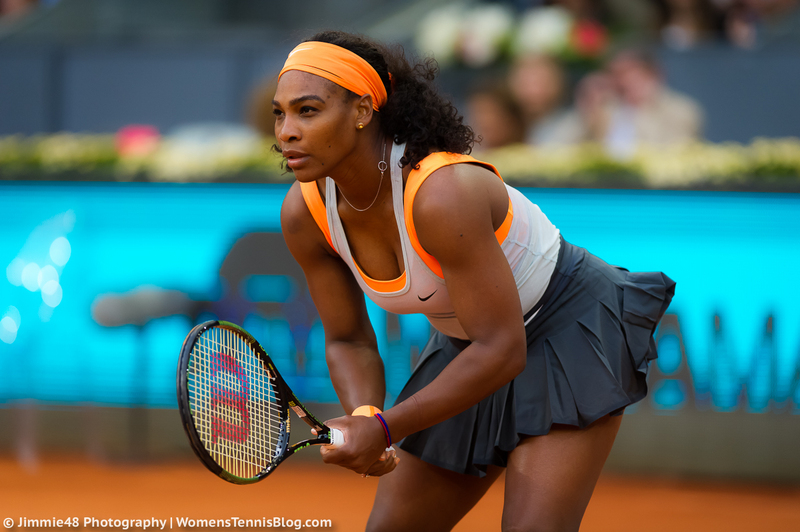 May 8, 2016 in Rome, Tournament Preview, WTA. I think it’s a possibility if Kuznetsova is healthy. She’ll be fresh and fairly confident from a good year, and she always loves the chance to throw a spanner in the works for a seeded player. I’m a little gutted that Ivanovic, Serena, Svetlana and Halep are all in the same quarter as they are the most enjoyable women to watch on clay at the top of the game. I reckon if Pliskova and Azarenka happens here then Karolina takes the win against her. I like Carla S-N’s backhand and she’s very good on clay (she made the final in Rome last year after a great match against Simona in the semis). Carla vs. Sara Errani (another clay court specialist) would be a match I’d want to see, especially in the closing stages of the tournament. But with Serena in the mix, anything can happen. BTW, is Aga Radwanska not taking part this year? I’ve gone for a CSN-Errani SF! Radwanska isn’t listed and I think it’s a smart move on her behalf. I think that the gap between Madrid, Rome and Roland Garros with the surface being so physically demanding. I’d also say that players with niggling injuries like Kuznetsova, Pliskova and Azarenka should probably be giving the tournament a miss too. Though I guess Svetlana and Karolina don’t have much on the line from either of the next two events with regards to points. Yes Radwanska never committed to Rome… Bold move and actually, I think a very wise move. 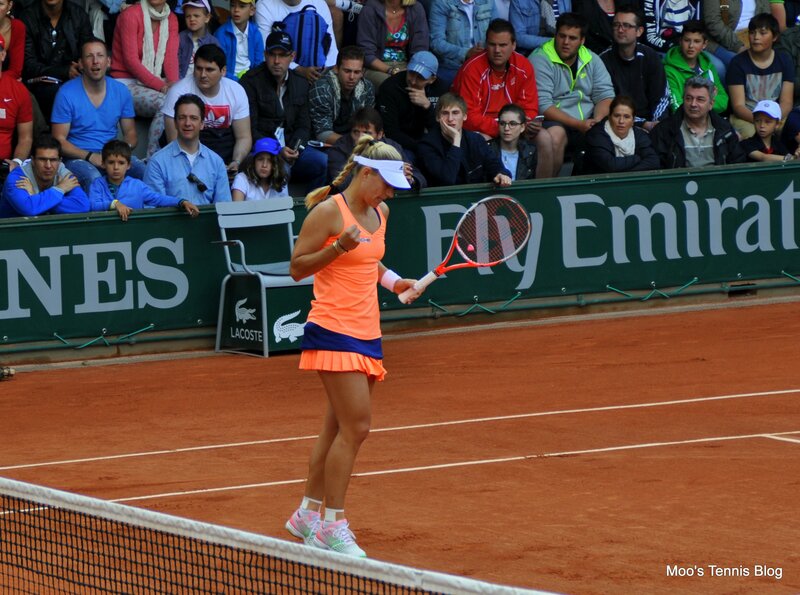 She’s never really felt comfortable on the clay and defending few points. It sounds like she will go all in for the grass court season. I think she’s down for Eastbourne but will probably add another tournament, Nottingham or Birmingham too. (answering James) Yes, I think giving Rome a miss makes sense for Aga as clay’s never been her best surface and she needs to conserve her energy. Aga’s clearly set her sights on winning Wimbledon this year and wants to give herself the best possible chance of doing it, but she’s already committed to playing in Eastbourne, so Nottingham or Birmingham as well might be pushing it a bit (stamina doesn’t seem to be her strength). I agree with Andrew that it would probably also be wiser for Sveta, Karo Pliskova and Vika to give Rome a miss, especially so close to RG. How do you rate Aga’s chances of winning Wimbledon? I think Radwanska’s definitely in the mix for Wimbledon. I really like how she has scheduled this year so she should fresh. I agree with you about Azarenka, i’ve seen people dismissing her chances before on grass but I think it’s a good surface for her. She played an incredible set and a half against Serena last year and as you say, she’s lost to the champion more often than not. Serena needs as many matches on clay as she has RG to defend,it would not surprise me in the least if she wins Rome,still to me it is not her strongest surface.The court surface at Rome is fast,I am looking at players like Garbine,whose game should suit this surface,hopefully Sveta is fully fit,she has a great game on the clay.I am also interested to see how Halep performs after her win in Madrid. Yeah Serena, Muguruza and Kuznetsova were my initial thoughts too. Kvitova is my dark horse. She’s due a random good performance amidst a string of disappointments. Rome is definitely on my bucket list to attend, Margaret! I wish it was the Premier Mandatory tournament, in my opinion it is superior to Madrid in practically every department. Yeah the only issues with Rome is that occasionally the quality of the clay isn’t the best. I remember it being a big problem last year or the one before. I remember it all getting blown off a few years ago for Li-Dellacqua match. I always thought it was the closest match to the clay at RG. Likewise, I think it is fairly close to RG, however, since the surface isn’t always consistent(quality), the weather conditions can have an undue influence on play. I thought the general consensus was Rome was pretty close to RG in terms of surface. I can’t really remember there being problems with consistency in the past but I think that’s my memory! I remember there were issues with Madrid clay before and the players often complained about it, but I think it has improved since the year of blue clay. Dont they say that Stuttgart is the closest surface, though obviously it being indoors makes it different. Hmm i’m not sure about Stuttgart being the closest surface to RG, I thought they used oil in their clay. I remember that some of players said you couldn’t really slide because you often couldn’t stop. I suspect Stuttgart is a fairly fast surface being tempered by being an indoor court although not as fast as Madrid. Judging by the kind of players who like playing there Julia Gorges, Ivanovic, Maria Sharapova etc. I guess they like the consistent, controlled/predictable environment. Actually the clay at Monte Carlo and speed surface is the closest to Roland Garos,Rome has had some consistency problems with the clay at times,being a true fast clay surface,the weather can dictate,eg, the speed of the ball through the air if it is warm,if it rains the conditions are heavy and that also applies to the weight of the balls. With Nadal ‘fawning’ about his win and play in Monte Carlo, I got the feeling the surface was playing nicely slow for him with a good bounce. If that extends to Roland Garros this year, all things being equal, clay court type players may get a chance to excel again for a change. Monte Carlo and Roland Garos have always been a slow to medium surface with a true bounce.I have played at Monte Carlo being brought up on clay and also at Rome,I have had the privilege of watching the Greatest Clay Court player Rafa Nadal at Monte Carlo,Rome and Roland Garos many times. I’m extremely concerned that Azarenka has considered to play this tournament, while nursing an injured back. She could possibly have a tough second round match against Margarita Gasparyan, a young Russian WTA Rising Star with a gorgeous one-handed backhand. For Halep, it was nice to FINALLY see her get a title under her belt. But, can she carry that momentum into Rome? I’m not sure, because even with the Madrid title added to her name, she hasn’t been playing in the best form that took her all the way to the 2014 French Open final. If she had withdrawn from Romania’s Fed Cup tie, Dubai, Doha, and Indian Wells to fix her illness, she would’ve done a lot better. So, WHOEVER VOTES FOR HALEP IN THESE POLLS IS ABSAFREAKINLUTELY DISGUSTING AND NEEDS TO RECONSIDER HER ANALYSIS! As for Kerber, I feel like the pressure to keep up her good form is really on her shoulders now – after winning the Australian Open and Stuttgart, she already dropped her opening matches in the following tournaments: Doha, Indian Wells, and Madrid. As of now, I’m picking Serena to win the title, as she is the only one who seems to really make sure her body is 100% healthy and she has withdrawn before tournaments start instead of halfway while a tournament is going on. My prediction is that Serena either reaches the final without dropping a set and wins the title in three sets. Or, she will win the title without dropping a set. I take your point about Simona, but it’s true of a lot of other players too; for example, Aga Radwanska said recently after winning a match that “pain was her middle name.” It’s an unfortunate fact of the tour that too many players play when they’re insufficiently rested and less than fully recovered from whatever injuries they might be carrying (too many matches per year on hard courts perhaps?). 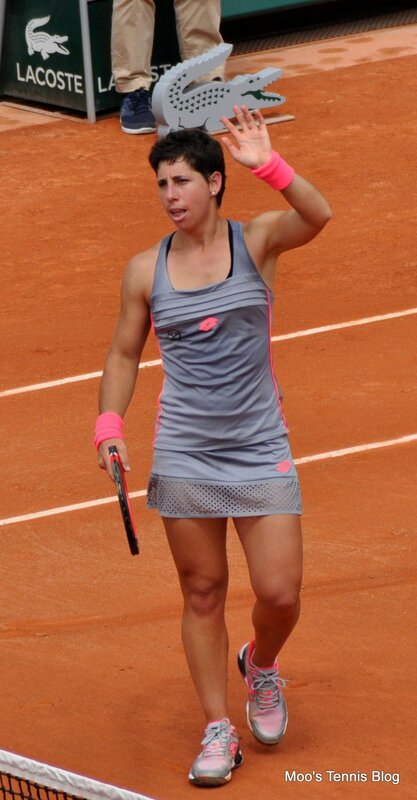 The Simona I saw in the final on Saturday played well enough to remind everyone of why she used to be a Top 2 player, and she did it at the end of a week in which she had played five other matches. I know she’s had injury problems lately but if she thinks she’s well enough to compete in Rome, I’d say let her get on with it. Halep has a lot of semifinal points to defend in Rome. I have noticed that every time she gets herself on the winning track, she seems to fall apart again. That’s why my vote is against her – especially with her win-loss record this year so far. Agreed Jackie, it’s almost as though she’s more comfortable coming second than winning, especially when she’s up against the very best players. She played an incredible match against Serena in the WTA finals in 2014 and then fell off badly in the next one (against Serena). A similar thing happened when she played Aga Radwanska a year later and pretty much checked out of the match in the second set, after losing narrowly in the first one. Maybe she’s aware of that though and that’s why she’s working with Darren, to help her deal with the psychological issues she has around playing. In addition, she has said recently that she feels a lot of pressure of expectation from being Romania’s only international standard sportsperson at the moment. Whoever voted for Halep, I’m sarcastically saying to you nice job because your votes for Halep have almost always come out absafreakinlutely wrong! She got sent packing her bags by Russian-born Australian WTA Rising Star Daria Gavrilova in the second round in three sets! Azarenka and Kerber, both who beat Serena earlier this year, also lost in the second round. At this point, knowing that she will most likely avenge her Miami loss to Kuznetsova in the quarterfinals, Serena is the clear favorite to win the title in Rome now. I guarantee you, and I kid you not, when Serena plays against someone who beat her in the same year, she is more aware than she ever has been before and she ends up being the winner. I saw this from her rivalry with Ana Ivanovic back in 2014. When Ivanovic beat Serena in three sets at the Australian Open then, Serena avenged that loss in Rome, and Ivanovic hasn’t been able to win against her since then. My prediction is that Serena will end up reaching the final without dropping a set and win the title in three sets. Or, she will win the title without dropping a set. Lol the Halep fans are pretty loyal to their player so you’ll see a pattern in the tourmament polls. I get the sense though that you’re just as loyal to Serena, i’ve never seen you predict against her! Alizé Cornet won three straight matches (granted one was a retirement) against Serena so doesn’t always go the way you imply. Well then again, I probably should have taken back my comments about what I said. Thanks for reminding about that.